Spring is here, and pests are looking for cozy nooks to settle down and build nests. For bees, hornets, and yellow jackets, siding and eaves on the exterior of your home are some of the first places they look. Here’s the story of one Merrimack homeowner who had been fighting back with over-the-counter bug sprays (and losing) who called us in for help. We received a message through our website from Jen in Merrimack, who was seeing yellow jackets swarming around her house. The winged, stinging insects were focused on a section where the house’s siding had warped to create small spaces allowing them to get underneath. The pests were even getting into the home somehow. For the past few years, the homeowners had tried to eradicate the flying pests using bug sprays from the local hardware store, with little success. It was time to call in the professionals. We love calls like this. If we can treat your home before pests settle in, it’s a lot easier to keep them out than to get rid of them after the fact. Every infestation is different. Only after a thorough walk around the property to look for other entrance points or things that might attract more pests, can we begin treatment. Outdoor ant traps. Unless you are prepared to replace these often and be vigilant with monitoring and upkeep, skip these. They’re full of bait that in a perfect world will make it back to the nest and wipe out everything, but the reality is that these types of traps can attract more than they kill, including other types of pests. Cute cats. The cats had to stay indoors for two hours after we treated the house, but they didn’t seem to mind much. Our products and treatments are designed to be tough on pests while safe for everyone else. We ask folks to keep furry friends inside when we’re working outside, but the coast is clear in about two hours afterward. Stuff on the deck. There’s stuff outside of everyone’s house. We’re used to it and can work around it. We’ll ask to move it if we need to. While we appreciate any efforts, you make to clear space for us to work, we’re pretty nimble, so no need to do anything in advance. Based on what we saw, we opted to spray the perimeter of the housetop and bottom, paying special attention to the hotspots Jen mentioned near the siding. 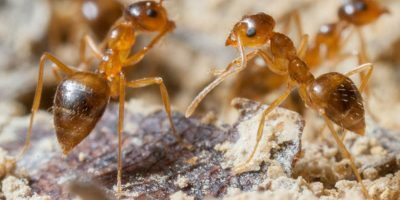 One of the reasons DIY pest control treatments rarely work is because they are short-term solutions; The options that act as barriers to repel yellow jackets and other pests require special equipment and application best left to a professional. The treatment took about an hour. We went over instructions about what to look out for in the areas where yellow jackets were swarming. 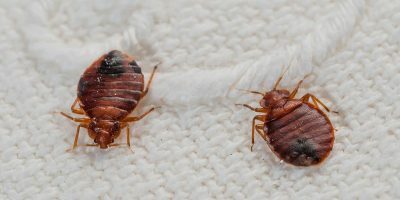 We also talked about a year-long plan to prevent any recurrence, which can happen if house-hunting pests revisit after the repellent wears off. A typical treatment will repel pests for a few months, depending on the pest and weather conditions. It is an honor to help keep your family safe from the stress and health hazards an infestation can cause. It’s a truly great feeling to know we made an impact. We like to think it sets 603 Pest apart from the rest of the pack. and believe so much in it that we guarantee satisfaction on your service, because pests don’t live free in the 603!